For the fourth in our new series of Hyperlocal Voices we head back to Wales. Launched by Richard Gurner in July 2009, the Caerphilly Observer acts as a local news and information website for Caerphilly County Borough. This entry was posted in blogging, online journalism and tagged Bristol 24/7, business models, Caerphilly Observer, citizen journalism, community, Damian Radcliffe, Hyperlocal, Hyperlocal Voices, lichfield blog, Richard Gurner, sustainability on July 25, 2012 by Paul Bradshaw. Yessi Bello continues the Hyperlocal Voices series of interviews, talking to the Edinburgh Reporter‘s Phyllis Stephen. Who were the people behind the blog, and what where their backgrounds? I am the person behind it. I had just graduated with a Masters in Journalism and needed to find an outlet for my work based here in Edinburgh. It seemed to me – particularly after attending the News Re:Wired conference in January 2010 – that hyperlocal is the new buzzword and that I could do it right here on my own doorstep. This entry was posted in blogging and tagged edinburgh, edinburgh reporter, huffington post, Hyperlocal Voices, kings cross environment, lichfield blog, phyllis stephen, se1 on February 15, 2011 by Paul Bradshaw. My background has been in regional journalism in Staffordshire and the West Midlands. I began at the Lichfield Post as a fresh-faced 16-year-old, so it’s quite ironic that I’ve pretty much gone full circle in the space of 12 or 13 years, yet have never been happier. I started off as a sports reporter, then branched out into page design, edited a weekly paper in Coventry before making the move to the dailies at the Birmingham Mail as a page planner and sub-editor. So I’ve had a fairly varied career even though it hasn’t taken me a million miles from my own doorstep. It also skilled me for The Lichfield Blog because I got to see some patch reporters in the greatest sense of the word – people who lived and breathed a community. My integration into the online landscape came after the opportunity arose to take on their web operation. My time in this role saw me eventually become Senior Multimedia Editor for the Midlands. I’ve been lucky as a journalist in changing times – I’ve been able to spend time learning about the positives and negatives of online work, what works and what doesn’t etc, while many of my colleagues in the industry have had a timescale imposed on them. But for a variety of reasons the chance to teach online journalism at Staffordshire University came up and here I am today. One of the things I’m keen to stress to students is that I’m not a geek (I leave that to Phil!) but a journalist who has found practical uses for technology etc. During my time at Trinity Mirror I saw plenty of great things, but in a busy newsroom only so much of it could really be of benefit. So that’s what I try to get across to my guys and girls here. Anyway, back to journalism. Coming to Staffordshire I was really keen that I didn’t want to become rusty – but at the same time I didn’t want to burden myself with freelance concerns, especially in a market which didn’t offer many opportunities anyway. I was also mindful that there were plenty of out-of-work journalists who needed paid employment more than I did. So I decided that I’d write about what I know – basically, where I live. It astonished me to discover that for a city (albeit a small one) there was nowhere to get a regular taste of life here online. Even the newspapers were struggling to fill the void for anyone interested in ye olde city. Although the early versions of The Lichfield Blog were crap, with nothing more than me trying to provoke a response, I soon found that there was a desire for somewhere to discuss Lichfield. Crucially, there was an audience. So what have I learned from my hyperlocal experience? The Lichfield Blog allows me to enjoy what I do. I’m my own boss, I can try random things, if it doesn’t work I don’t have a news editor kicking my backside. It’s allowed me to be experimental and enjoy the career I’ve got. I like to think I’ve gone back to the future in terms of how I operate. Yes, it’s a new platform and it’s new media, but the basic skills are more needed than ever. It’s about knowing your patch inside out, it’s about attending community meetings and knowing local decision-makers, it’s about getting away from deadline and target driven writing – it’s about being a journalist. I’ve always loved local journalism deep down, that ability to know what makes a community tick. The Lichfield Blog has allowed me to do that and more. It’s given me the opportunity to see that partnerships are the way forward. I’ve also re-evaluated what I think (and that’s the crucial bit – my thoughts) media should be doing. We try to combine news and info. We try and make advertising affordable to local businesses. We try to do exactly the sort of things local newspapers did once upon a time. It’s perhaps not the formula to get me rich, but I never got into journalism for the money, so why should I change that now? This entry was posted in blogging and tagged Hyperlocal, Hyperlocal Voices, lichfield, lichfield blog, ross hawkes on November 20, 2010 by Paul Bradshaw. In the latest in the hyperlocal voices series, Tamworth Blog‘s Warren Free talks about how the same frustration with lack of timely local coverage – and the example set by the nearby Lichfield Blog – led him to start publishing last year. I started up the blog after seeing what was happening around the Midlands, primarily in Lichfield and saw the concept would give us something in Tamworth where we could communicate the news as it happened. At the time I was working from home, so in Tamworth the majority of the time. My background though isn’t one which is littered with journalism experience. 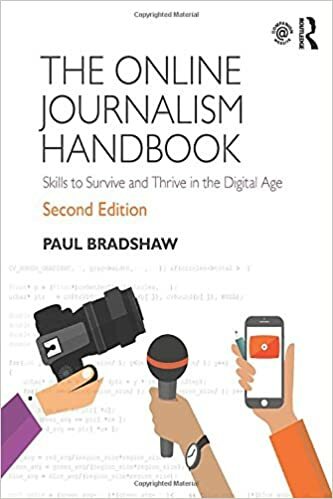 My only brush with journalism was during my GCSE’s where I studied Media Studies: we took part in a national newspaper competition, where we came in the top 20. That’s kind of where I left it, until Tamworth Blog was set up in 2009. This entry was posted in blogging and tagged Hyperlocal, Hyperlocal Voices, lichfield blog, tamworth blog, warren free on October 15, 2010 by Paul Bradshaw. 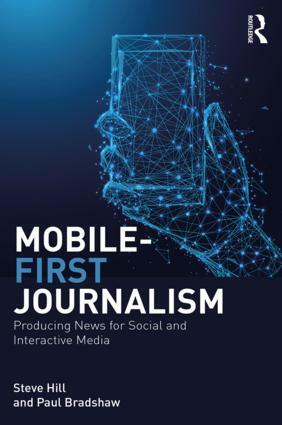 The Future of News gathering first organised by Adam Westbrook has its first West Midlands meetup next week (organised by The Lichfield Blog‘s Philip John. I’ll be there, along with leading Portuguese blogger Alex Gamela, Brummie alpha blogger Jon Bounds, Andy Brightwell of Hashbrum and Grounds Birmingham; top journalism blogger Nigel Barlow and Pits n Pots‘ Mike Rawlins, among others. This entry was posted in online journalism and tagged Alex Gamela, andy brightwell, future of news, Jon Bounds, lichfield blog, meetup, nigel barlow, pits n pots on February 1, 2010 by Paul Bradshaw.